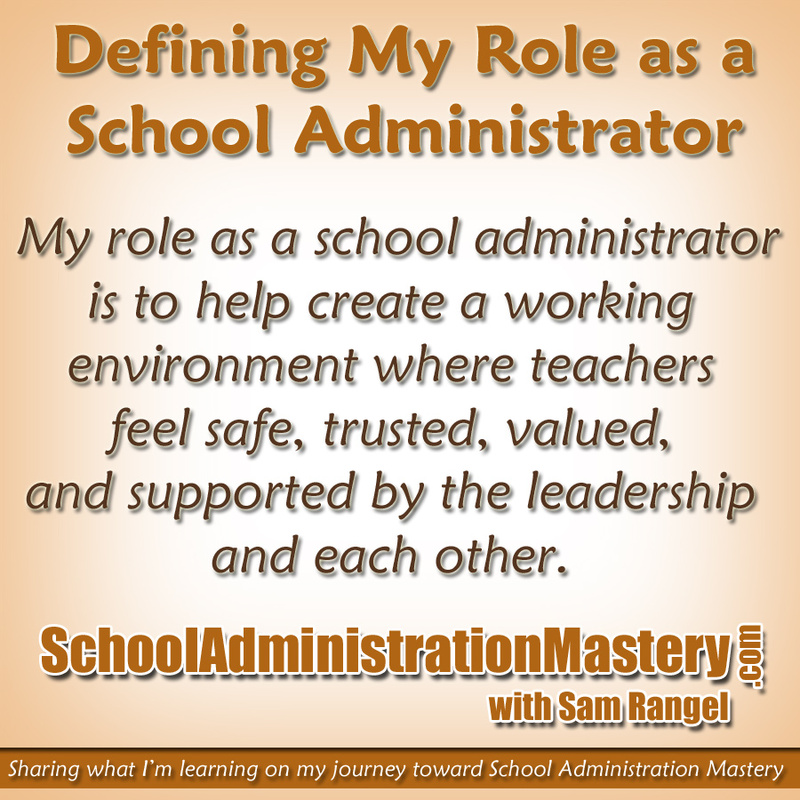 What is my role as a school administrator? As a teacher, I knew that my role was to provide my students with the best education I could give them. I knew what I had to do, and I worked every day to accomplish this goal. 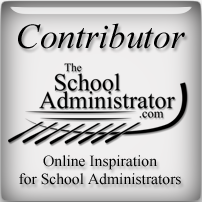 As a school administrator, the question of what I was supposed to do had always seemed a little vague – until now. 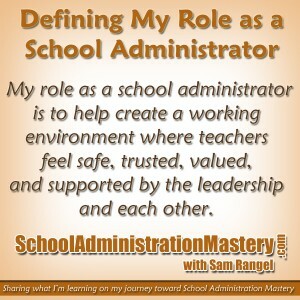 I know, without a doubt in my mind, what my role as a school administrator is. I used to believe that my role was to manage the day-to-day operations of the school, handle conflicts between teachers and parents or teachers and students or teachers and teachers, etc. I saw myself on many occasions as a fireman, just putting out fires here and there. I believed my role was more of a manager. Then I read the book, Leaders Eat Last by Simon Sinek. Like I said in my last post, I’m not being paid to promote Simon’s book. I mention it here, and probably often in future posts, because Simon has been able to make my role as a school administrator crystal clear. I now completely understand what my role is in this position of school administrator, and it has given me the focus to better do what I do. As a result of this focus, I have purpose, and as a result of this purpose, I am enjoying my time at work so much more. My role as a school administrator is to help create a working environment where teachers feel safe, trusted, valued, and supported by the leadership and each other. Although I only identify teachers in my statement, I include the other members of the staff as well. The teachers, however, are the main group of people who will have the greatest effect on the success of the school. Creating this environment of trust and safety is not easy. It takes a commitment on the part of administration to do whatever it takes to make it happen. This means, first of all, to place the needs of the teachers above the needs of oneself. What I learned from Simon’s book is that when people feel supported and valued where they work, they will do their best work. I know many teachers, unfortunately, who follow the contract to the letter. They arrive at school no earlier, and leave no later than the contract requires. They do no more or no less than what their job description asks for. I call it having a time-card mentality. They just clock in and clock out. These teachers can have such a greater impact on the students if only they did their best work. For some of these teachers, there is nothing administration can do, except wait for them to retire. The danger is that if administration doesn’t create an environment where teachers feel safe, trusted, valued and supported, we run the risk of losing more teachers to this time-card mentality. For a school to be successful, we need the teachers to do their best work. Teachers will do their best work, and they will strive to be better, if we as administrators create an environment where they feel safe and supported. In Simon’s book, he mentions that if people like where they work, they will do their best work. My role, as school administrator, is to create this place where teachers do their best work. There are many ways to create this environment of trust and appreciation. In the next few posts, I’ll be sharing what I am learning about some of the steps that we can take to create it. In the meantime, consider the environment at your school. Do teachers feel safe? Do they wear the school logo with pride? Do they come early and leave late? I cannot stress enough how beneficial it would be for any school administrator to read Simon’s book. It will either confirm your current belief about your role or, like it did with me, it will launch you many strides forward toward your goal of School Administration Mastery. In the next post, I’ll share with you the teacher recognition program that we implemented at my school. It has been so successful in bringing our staff closer together. Follow me on Twitter to know when it’s posted. Click on the book cover to download your copy.